both paperpieced, here ﻿ in company with santa. 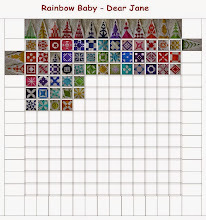 These are lovely blocks ! We are enjoying following your progress. We wish you a wonderful holiday (with plenty of time for quilting). Both of these blocks are beautiful! 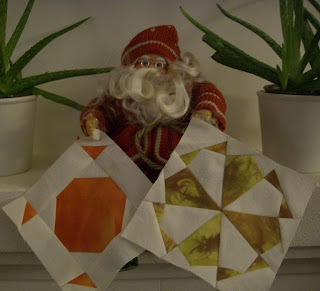 Just love the fabrics and how you have them displayed with Santa! Lovely blocks, your Santa is really cute as well. Oh, the colours! Beautiful blocks!